How Do I Install a Kitchenaid Ice Maker? 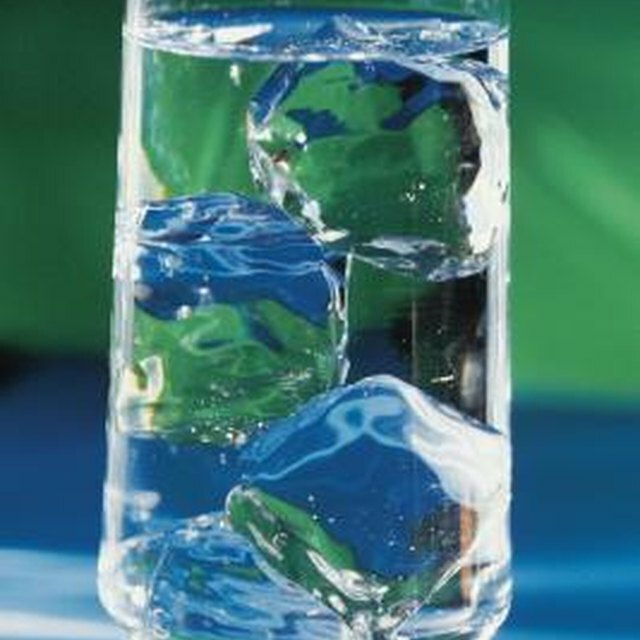 If your family uses a lot of ice, you may find that the KitchenAid ice maker is a great way to supply your ice needs. Capable of providing up to 50 pounds of ice a day, the ice-making machine comes in a variety of sizes and configurations to fit any kitchen. The ice maker installation can be a do-it-yourself project if you have plumbing and electrical skills. You can have an abundant supply of ice with a KitchenAid ice maker. Because of electrical and plumbing considerations, you should contact your local building codes authority to determine if you need a permit for your ice maker installation. Some municipalities require that registered professionals do any electrical or plumbing work. Have your permits in hand before you begin the ice maker installation process if you are doing it yourself Find a suitable location for your KitchenAid ice maker. The ice-making machine needs adequate space in the front to open the door. If the door drops down from the top it's not as much an issue as a right- or left-side opening door. Side-swing doors shouldn't have any interference from existing cabinetry. The floor under the ice maker must be level. The machine has leveling legs that can help you ensure it's level. If necessary you can add shims to level the ice maker Your ice maker installation requires a nearby source of electricity. The grounded outlet shouldn't be one that has a switch on it. That way someone can't turn the ice maker off inadvertently. The ice making machine needs its own circuit in the breaker box The water supply for the ice maker should come from a vertical cold-water pipe capable of providing between 30 and 120 psi water pressure. The machine connects to the water source via copper tubing with a shutoff valve Depending on your model of KitchenAid ice maker, it either has a gravity drain or a pump drain. You must provide the adequate plumbing connections to a drain for either one. Because water draining from your ice maker is going to be very cold, you may want to consider putting insulation around the drain pipe to keep it from freezing. Once the plumbing and electrical work is in place, slide the ice maker into position. Make sure the unit remains level. Don't pinch the electrical wiring or the plumbing and the drain. Turn the water on to the ice maker. The KitchenAid ice maker takes about five minutes to rinse itself when it first starts up. It then fills the ice-making compartment with water and proceeds with the freezing process.